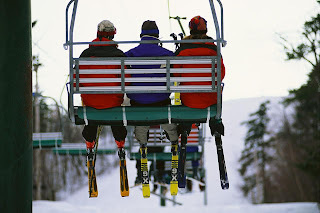 Upper Valley Connections: Learn to Ski! Fell again. It was my first year learning how to ski and I hadn't yet gotten a feel for that steep ramp coming off the chairlift. I was taking lessons with the Lyme Ski program, which was, and still is, available through the Lyme recreation department to all the students at the Lyme Elementary School. The program, which has been going on since at least 1989 has created a family skiing culture in the small town. Today over 100 Lyme students participate in the Lyme Ski program each year, which has grown to not only include alpine ski students, but snowboarder lessons at the skiway and cross country skier lessons at the school as well. "It's especially great for children whose parents otherwise wouldn't make skiing available to their children," said Steve Small, Lyme's recreation director. Steve's right. I was the first member of my family to become a regular skier and I have the Lyme ski program to thank. My younger sister signed up for the the program when she was a first grader a couple years later. My mom, not one to sit back and watch her children have fun, decided to take on the sport she had tried years earlier in college. In no time she became an instructor for the Lyme first grade beginners with the Lyme program. 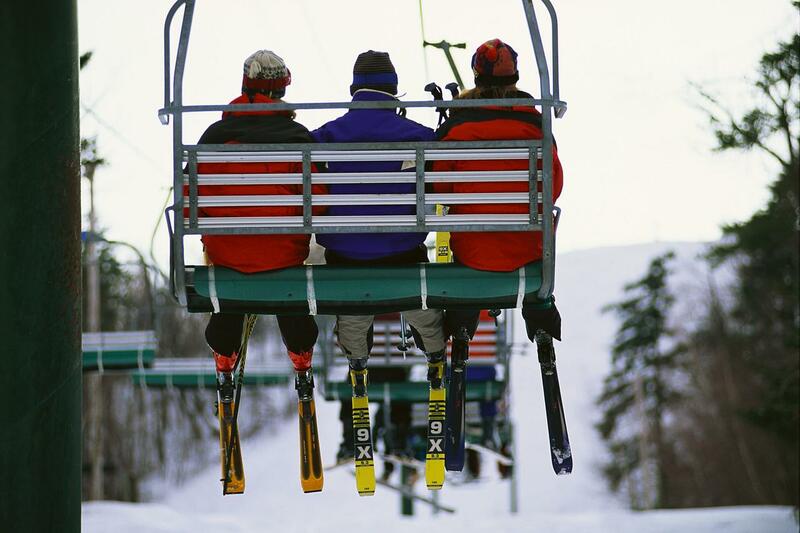 Many other families from Lyme, and other towns with ski programs, have similar stories. I've even heard some Olympic skiers clipped their boots onto skis for the first time when enrolled in town and school ski lesson programs. Alpine skiing is still one of my favorite things to do, and it is my favorite athletic activity to watch (why can't World Cup skiing be televised in the US every winter!) As an adult, I have joined my mom as a Lyme program instructor for first and second grade skiers, many of which have never tried anything like skiing before. The best part of teaching at the ski program? Every child in our group makes it down the Chivers and Pass-Fail trails at the end of the season. No small feat when many couldn't even stand on their skis on the first day. Starting a ski program in your own town is a big undertaking, but in an area that boasts so many nearby ski areas including Dartmouth Skiway, Whaleback, Mount Sunapee, and Suicide Six, the project can be doable. The program director needs to find volunteers to transport equipment, teach lessons at different levels, and find transportation from the school to the mountain. Steve Small recommends communities to start small and find a group to help you start the project. I'm certainly looking forward to getting out on the slopes with my new students after the holidays. Luckily for me the ramp off the chairlift on Winslow is a lot less steep then when I was seven!